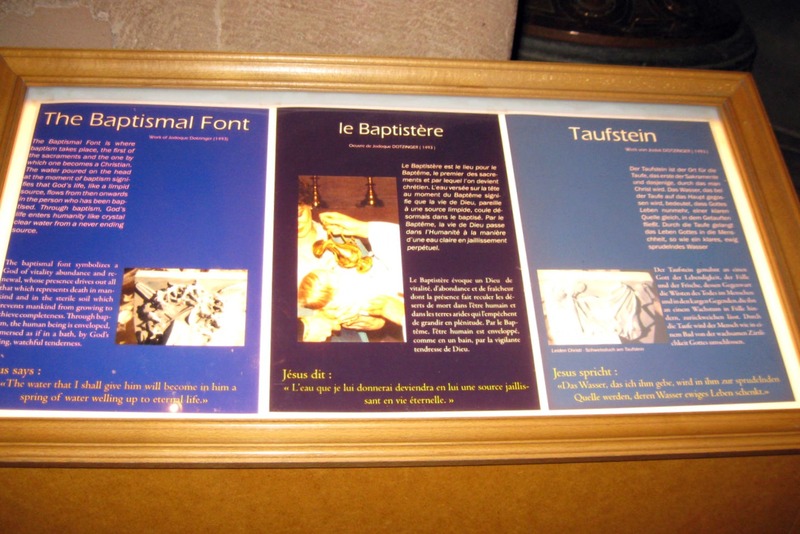 As a follow up to my thoughts on the hierarchy of translation, I wanted to share these images of interpretive labels inside Strasbourg Cathedral. I’m used to seeing the languages in multi-language resources always appear in the same order (e.g. English, then Spanish). There’s nothing wrong with consistency, but it’s possible to interpret the second/third/etc. languages as less important, an afterthought. 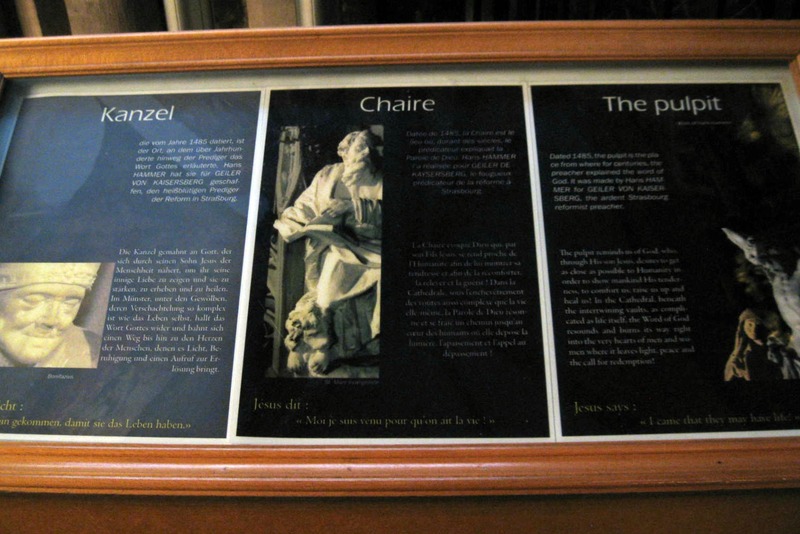 At Strasbourg Cathedral, they alternated the order of French, German and English on each interpretive panel (excuse the abysmal discrepancy in picture quality. When it comes to photography, I’m just a pretty face). 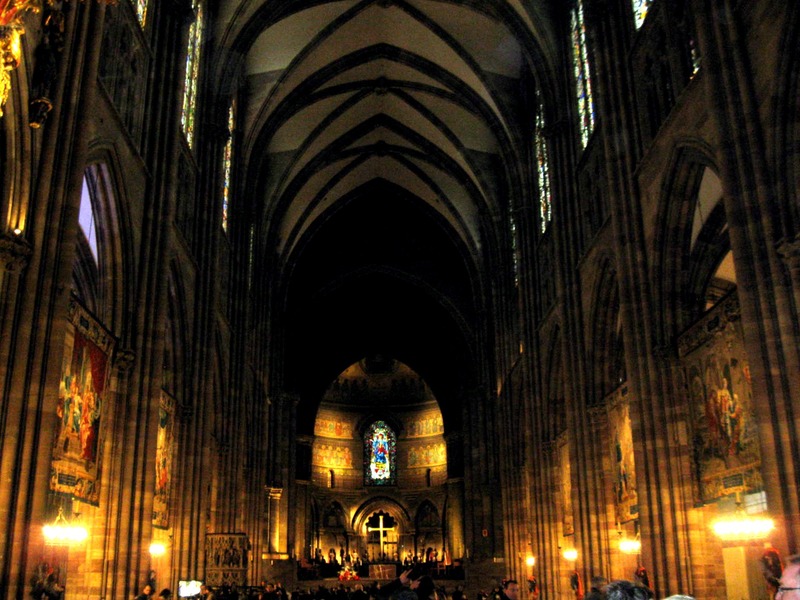 I don’t know the intention behind the decision to alternate language order, but I’m interested in whether it was a conscious choice intended to make the cathedral’s three main language audiences feel welcome and valued. What do you think about switching up language order in interpretive resources? An egalitarian gesture? A potential source of confusion? How would you strike a language balance?